See below for a video of the Soyuz launch. Alexander Kaleri, Oleg Skripochka and Scott Kelly are now on their way to join three other crew members aboard the ISS station after a two-day trip on the Soyuz. For the final flight of Discovery, STS-133, the another payload is the reconfigured Leonardo Multi-Purpose Logistics Module (MPLM) now dubbed the Permanent Multipurpose Module. The mission will also carry the Express Logistics Carrier 4 and much-needed spare parts to the International Space Station (ISS). The mission is slated to launch no-earlier-than Nov.1 at 4:40 p.m. EDT. A large white canister is hoisted up and the payload that is sealed inside will be removed. 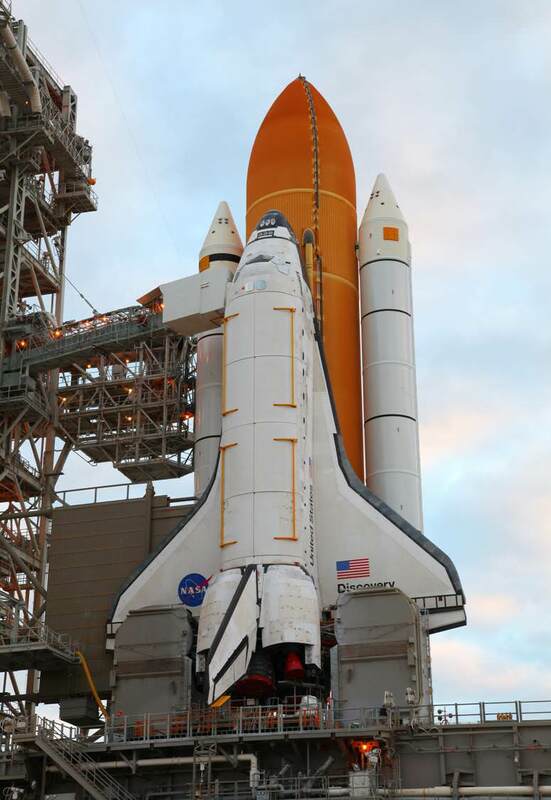 From there the canister is taken away, the Rotating Service Structure (RSS) will swing over the space shuttle and then be loaded into the shuttle’s cargo bay. The entire process takes a little over a week. The crew for STS-133 consists of Commander Steve Lindsey, Pilot Eric Boe and Mission Specialists Nicole Stott, Alvin Drew, Tim Kopra and Michael Barratt. 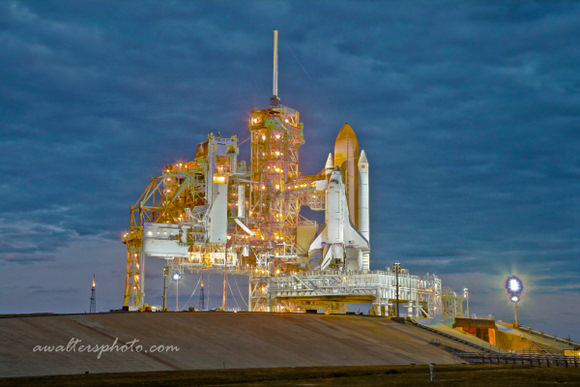 The canisters that deliver the payload out to the launch pad have been used since the shuttle program’s inception. However, that does not mean that they are destined to go to the Smithsonian or some other world-famous museum. In fact there is no real clear destination for any of these pieces of hardware. As NASA no longer has a clear path forward it is not known whether-or-not the canisters will be used in some future, as-yet-unnamed program. The payload canister is loaded onto the RSS in preparation for loading into Space Shuttle Discovery for STS-133. Image is an HDR composite from five images. Credit: Alan Walters (awaltersphoto.com) for Universe Today.